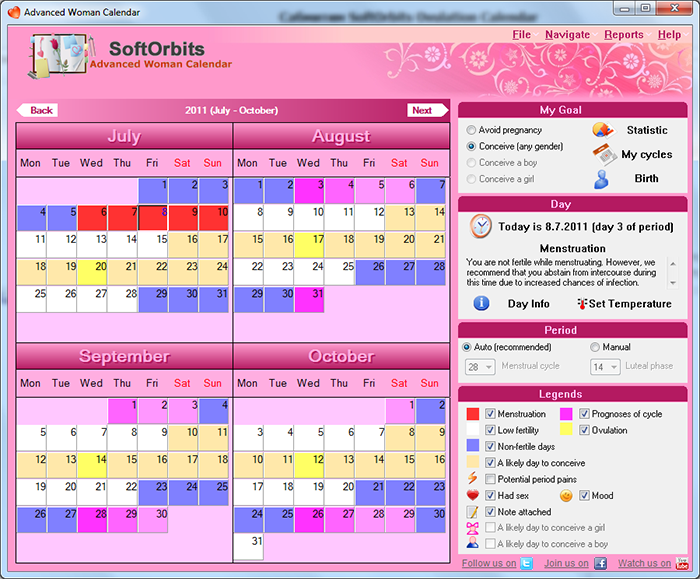 Accurate Fertility Calender And Calculator. Women Fertility And Ovulation Calendar App. Couples who are planning to have a baby but have been unsuccessful so far may need to add something to their usual ritual. The truth is some women can get pregnant easily, while others find it more challenging. This is common, because some women have longer than usual menstrual cycles, while others have shorter than usual. The possibility of becoming pregnant depends largely on knowing the days when ovulation occurs. To know this, using an accurate fertility and ovulation calendar is crucial. This can be purchased online at http://www.eovulation.com. With a computerized tool, knowing the days when a woman is fertile becomes easy. The Advanced Woman Calendar is one of, if not the best fertility ovulation calendar. By simply putting in a few data, such as the first day of a woman’s menstrual cycle, the software can clearly show in a color-coded calendar the days when a woman is most fertile. It can provide a personalized calendar month after month, year after year, for planning a family. 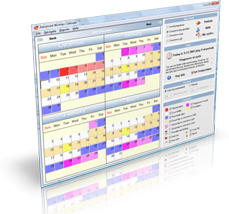 Compared to other software, the Advanced Woman Calendar is the most affordable women fertility calendar app that also provides technical support via email as well as an optional inclusion to all major upgrades for a very nominal fee. By simply going to http://www.eovulation.com, you can easily download a free trial of the Advanced Woman Calendar. The software can be used instantly, since it has a very user-friendly interface. If you prefer a hard copy, it is flexible enough to provide a printable fertility period calendar that you can pin in a visible location to help remind you of the important coming days. SoftOrbits, the maker of the software, gives a 30-day unconditional money-back guarantee should you opt not to continue using it. However, like other customers, you will most likely keep it for the great value it provides.